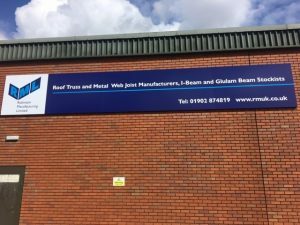 We are delighted with the new RML Flooring Midlands signage installed at our Wolverhampton joist factory last week – a clear and visible change from the National Hickman name after we acquired their joist manufacturing business in January this year. 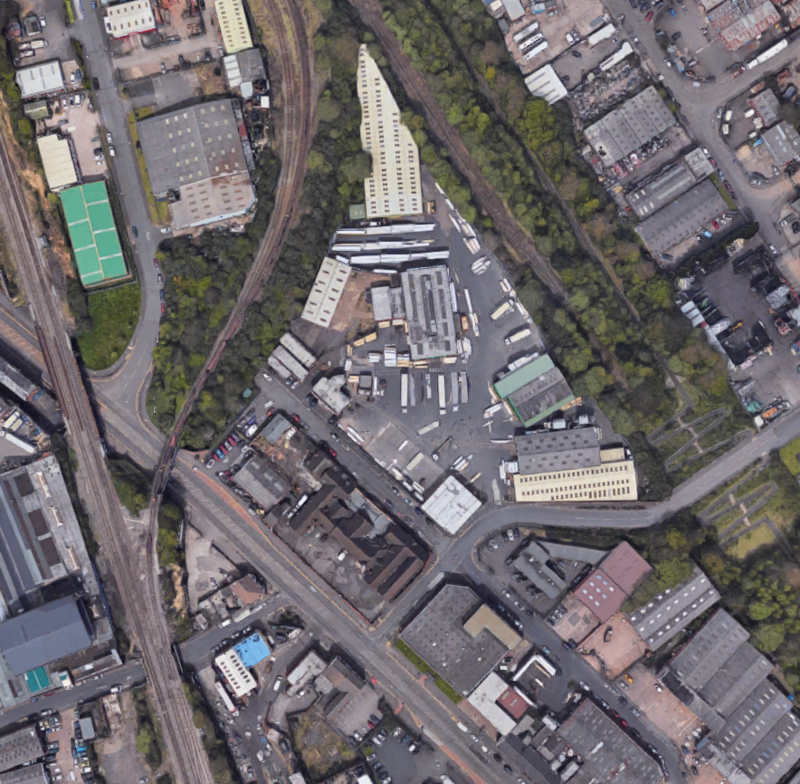 The Wolverhampton site is large, spreading over several streets and includes large office capacity as well as substantial storage facilities, yard space and manufacturing areas as you can see from the aerial photo at the bottom of this article. 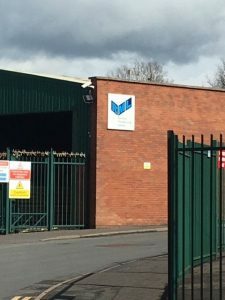 So there were quite a few buildings and access points that required new signs.